1) Joey Logano (BES, West) - Just like Eli Manning was a few years ago in the NFL Draft, Joey was a resounding #1 choice by our panelists. And is there any doubt why? If those under 18 were eligible for the regular draft, 16-year-old Logano might just be the overall #1 choice in the Short Track Draft. Joey has won in everything that he has ever run and has always excelled for his age. He won his first Pro Cup race at age 15 in just his second-career start. So what else would he do this year besides best that? He won in his first-career NASCAR start, taking the checkers in front of the entire Cup community in the West Series race at Phoenix. Then, he backed it up by winning the season-opener for the Busch East Series (yes, his first-career BES start) at Greenville. This kid is good and Joe Gibbs got a steal from Roush Racing on this one. 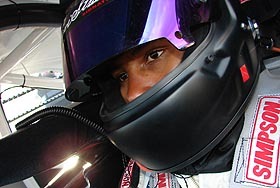 2) Bryan Clauson (ARCA, USAC, ASALM) – To a lot of people, 17-year-old Clauson is the next coming of Ryan Newman, Jeff Gordon and Tony Stewart. In other words, he is the next greatest thing to come out of the USAC ranks. And Chip Ganassi thinks go, because he’s signed up to a driver development contract. However, Clauson’s foray into the stock car world has already had its share of ups and downs. While he finished second in his ARCA debut at USA International Speedway, his ASA Late Model has also been back in the chassis shop for new front clips twice. He recently overcame that though, finishing top-five in an ASA North race. With a little more seat time, he might just be as good as everyone thinks. 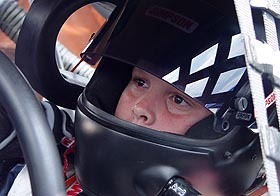 3) Hunter Robbins (SLM) – Hunter Robbins really made noise a few years ago when he started being successful in the ranks of Pro Late Models and Super Late Models at the age of 12 and 13. And while he was good, he still needed to mature. And he has matured, and that is why Robbins is now showing his strongest hand ever. 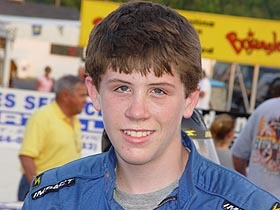 People took notice when he won the Snowflake 100 at Five Flags Speedway as a 14-year-old. Now, he’s matured even more. And he is winning more races. He won the Blizzard Series race recently. And he nearly won the Rattler at South Alabama Speedway at age 15 before losing the lead on the last corner of the last lap. He did end up getting in a wreck with eventual winner Augie Grill there. But, he is still just a kid and still learning the ropes of short track racing. He’s ready for some very big things. 4) Landon Cassill (SLM, ASA) – Landon might have dropped a little bit on the underclassman draft list as to where he really belongs, mostly because he has kind of fell in the “out of sight, out of mind” category. After getting signed during the off season to a driver development contract by Hendrick Motorsports, Cassill has been off the map as far as short track racing. He’s been doing plenty for Hendrick Motorsports, as well as going to a lot of the Busch and Cup races, but until he turns 18 (he’s currently 17), he can do any driving in the NASCAR “big-three” ranks. But when he did the GM test, he impressed more people than anyone. And the other thing Landon has going for him is style and a sense of flare. There are very few in the NASCAR world that will fit his mold, which is good for marketing purposes. Joey Logano's (top, 51 Photo) hot start to the year made him our panel's number-one Underclassman, but USAC standout Bryan Clauson (bottom, James McDonald photo) was a close second. 8) Marc Davis (BES, West) - Much like his teammate with Joe Gibbs Racing, Joey Logano, 16-year-old Marc Davis is on the fast track to stardom. After winning some races at Hickory Motor Speedway in Limited Late Models, Davis got snatched up by Joe Gibbs Racing and now has a full-time Busch East Series ride. He has surprised a lot of people thus far too, running well at the big track of Phoenix (where he finished second to teammate Logano) and then again running well in the Busch East opener at Greenville. Davis already has a football tie in as well, driving the #92 after late football star Reggie White, who started the push to have more diversity drivers in NASCAR. It’s been a while since a black racecar driver made it, but it looks like Davis is ready to lead the charge of the newest generation. National Rookie of the Year and the Carolinas Regional Champion. Now, this year, Stroupe will be making his Super Late Model debut driving for Dillner’s BDI Racing. And he is not only focusing on that, but he’s already also won two Pro Challenge events and is helping tutor his younger brother Nick, who is moving into his Pro Challenge seat. 10) Kyle Mitchell (Pro Challenge) - If winning four races in his first five starts doesn’t mean that 17-year-old Kyle Mitchell is having a stellar season, then your standards are way too high. For Mitchell’s standards, they’re pretty much right on par. He was a standout in the Bandolero ranks before moving to Pro Challenge, where he was the 2006 Georgia Region champion. He came out like gangbusters this year with wins at Orlando, Hickory, Cordele and Lanier against some of the toughest Pro Challenge fields ever. The Pro Challenge motto “Developing America’s Young Racers,” certainly applies to Mitchell and our number-nine pick Stroupe. 11) Matt DiBenedetto (UARA) – The kid certainly has a rising stock in the world of racing. Now if only he went by his middle name, Guido DiBenedetto would be an all-time great racer-slash-mobster name. After racing locally at Hickory Motor Speedway for several years, 15-year-old DiBenedetto moved up to the touring UARA series this year and has taken the series by storm. 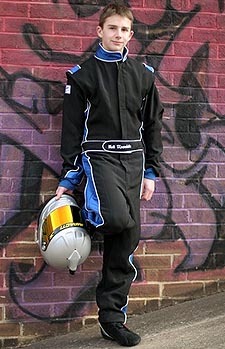 He is currently leading in the UARA point standings, the Rookie of the Year point standings and has already won an event. He has found success and championships at every single level. There is a pretty good chance he’ll find it at this level as well. 12) Trevor Bayne (Pro Cup) – Trevor’s stock seems to have fallen a little bit from last year’s draft. He is still a threat in the Pro Cup Series at just age 16, but with some of the other younger talent there, he needs to get a win soon. Trevor has been running more consistent and that is probably because of the help of new crew chief Blake Bainbridge. With that help, he should be winning soon. And Chevy is all over Bayne’s car, so they have a lot of belief in him. He has the look and he is a very personable young man, but he needs to start producing a few wins to go along with his consistent string. Sometimes, his front bumper can still get him in trouble, but he’s 16 and wanting to win races, so that is to be expected. 13) D.J. Shaw (SLM) – This 16-year-old has proven to be one of the brightest young talents in the Northeast, thanks in large part to having a dad that’s seen plenty of success (Dale Shaw) and also can build some pretty stout Late Models too. All the nights helping his dad in the shop have led DJ to be very calculating behind the wheel, too. He won a Late Model title at White Mountain (NH) last year and has a year of Super Late Model racing ahead. As long as he can race hard and clean (something his dad had a touch of trouble with over the years), this kid could go places. 16) Derek Ramstrom (PASS) – Ramstrom has a family and a team behind him that is willing to do whatever it takes to get him experience and noticed. He won the 2006 PASS Outlaw Late Model championship up North and even put up number in PASS North and PASS South Super Late Model starts. If it wasn’t for a late-season injury, maybe Ramstrom could’ve been as strong at the Mason-Dixon Meltdown at South Boston instead of the guy that borrowed his car, Kyle Busch. He’s willing to travel and try new things, and he’s been successful at it all. Our panel just is worried that he may have too much pressure on his shoulders from those around him. 17) Scott Bishop (Fast Trucks, LMSC) – This kid already reminds us of another young stud on the rise that made the 18-and-up list, Cale Gale. Gale dominated in the short track Truck series across the Southeast and had his biggest moment in the sun when he won both Truck races at Speedfest in Lakeland, FL two years ago. Bishop followed the same path nearly to a T, including a Speedfest sweep in January. Now he’s giving Late Model Stock racing a shot, which has proven to be a lot more competitive than the truck ranks he dominated. If he can get used to the stiff competition, look out. In the NFL, we see underclassmen forgo their formative years in college to declare themselves eligible for big bucks of pro football. It’s the lure of the almighty dollar. You can’t do that in big league NASCAR racing, where you have to be 18 to play with the boys in the “Big Three” (Cup, Busch and Truck). It’s a good rule and one that we’ve adopted with our annual Short Track Draft. Yet, we still compiled a short list of some of the best underclassmen on the American racing scene. It’s the 13-to-17-year-old age group and we have a top-25 breakdown of what we consider the best in class. 5) James Buescher (Pro Cup, ARCA) – 17-year-old James Buescher is like the college athlete that played for four years, but had a huge breakout season in his senior year with the new coach. Buescher has been racing for some time, and he was pretty good in the Legends Car ranks. But suddenly Buescher is thriving. He hooked up with Steve Turner and Turner Motorsports and his career really took off. 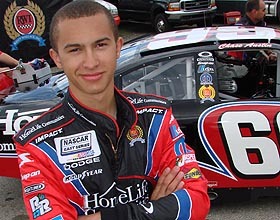 He won the ASA Late Model Southern Division Rookie of the Year and Championship in the 2006 season. Then, he moved onto the Pro Cup Series, where he has run strong. 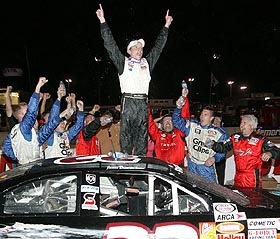 Then, Buescher made his ARCA debut in a combined Country Joe Racing / Turner Motorsports deal and won at USA International Speedway in his first race with the series. Buescher has a lot of things going for him. Here is to hoping he hasn’t peaked too soon. 6) Casey Roderick (Legends) - At the end of last year, there was no one hotter in the United States in the Legends Car ranks than Casey Roderick. He won the Summer Shootout Series Pro Division Championship. 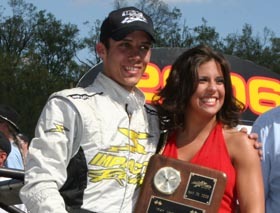 He won the National Championship event for the Pro Division at Lanier National Speedway. He won the Mason-Dixon Meltdown Pro Division race. He won the Legends Series race at Orlando SpeedWorld as part of the PRI show. And so far this year, he’s already won three races at tough places like Atlanta Motor Speedway and Lanier. He’s only 14 years of age and has so much talent. His biggest downfall right now is the fact that he’s still only racing Legends. He needs to harness that talent in something that will help him go to the next level. 7) Brady Bacon (USAC) - This kid has plenty of talent. That is evident by his involvement with Kasey Kahne Racing and already being signed by Chip Ganassi Racing to a development deal (how many people will Ganassi sign?). He drives for Mopar and has a list of quality sponsors a mile long on his website. He’s a shoe for sure. But the question is and remains for Bacon, like it does for Clauson, Josh Wise, Levi Jones and any of the other many USAC drivers that want to make it to the big leagues… is there room for them all? It looks like 17-year-old Bacon already has a few doors open and his foot in them, but that doesn’t mean too much yet. 18) Travis Cope (LLM, SLM) – When your dad is a former ASA and All-Pro standout (Mike Cope), people expect you to run up front. Travis Cope, 17, has been living up to those expectations in the Florida Limited Late Model ranks with a big win at Lakeland in the Goodyear Challenge Series a few months ago. He’s got a busy schedule of Super Late Model races planned for this year, too. He’s got a surfer’s looks and his dad’s tough-but-friendly demeanor, but he’s got to be careful not to hang around the Florida Late Model ranks for too long, otherwise he’ll be there forever like some of the other young Sunshine Staters have done lately. 14) Jesse Smith (ASALM) – Smith may be 16 on paper, but he’s about the size of someone much younger than that. Even though his physical stats may not be all that impressive, his size shows no bounds behind the wheel. An ASA Late Model North championship at age 16 boosted his stock, while being sponsored by SPAM boosted his marketability. He can win a title by points racing, but he needs to win more often in order to get a legitimate shot down the road. 15) Ty Dillon (Legends) – Here’s another racer with the right bloodline. His grandfather is one of the top team owners in NASCAR, Richard Childress. His dad Mike was a mid-pack racer in the Busch Series years ago, but so far there hasn’t been much “mid-pack” about 14-year-old Ty or his older brother Austin. Ty, though, has been the most victorious brother of late. His map of tracks he’s won at this season has pins all over the Southeast. He’s got youth and the right name, but hopefully he won’t get rushed through the ranks just because he’s got the opportunities. 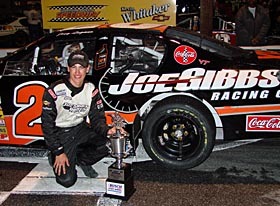 19) Corey LaJoie (Pro Challenge, SLM) – The kid is fast. You don’t earn a nickname like “Supershoe” for nothing. Wins in the Pro Challenge Series last year made him a bona fide prospect, but allegations of cheating tarnished his image a bit. He didn’t do much to denounce those claims with what some think is a cocky attitude. But even if he is cocky, LaJoie has unbridled talent to go along with it. His stock may have dropped a bit after his multiple-spin performance in practice before not making the show in his PASS South debut at Hickory in a team car to Ben Rowe’s. We don’t think that is a sign to come, as he’s been fast in everything he’s done. 20) Jeffrey Earnhardt (BES) – Anybody ever heard of an Earnhardt? Must be some new family to the sport. Well, maybe it’s not so new. He’s got the right name to make it to the big time, but this 17-year-old is good enough to make it even without the name. He is down-to-earth and put on one heck of a performance in his NASCAR Busch East Series debut in a car prepared by Andy Santerre’s team. Like anyone with his last name, Earnhardt is going to be bombarded by fans and pressure, but he showed he could handle it at Greenville and should be able to handle it for a long time to come. 21) Chase Austin (BES) – He’s handsome and he’s run in just about every kind of car possible on both dirt and asphalt, but you never hear much about 17-year-old Chase Austin in the winner’s circle. He can wheel a car without a doubt, but he’s never been able to run up front consistently to be considered a top-tier underclassmen. He’s in the Busch East Series this year in a Rusty Wallace, Inc. ride with a team that is on par with the Gibbs operation with Joey Logano and Marc Davis, but Austin didn’t show he’s a frontrunner like those two at Greenville. If he can contend in the BES (and he should with that kind of team), he’ll turn some heads. 22) Jordan Anderson (Legends) – He’s “Mr. Politically Correct,” as he’s affectionately known around the Legends Car ranks, 15-year-old Anderson is almost too squeaky-clean when he speaks he reminds us of a talented Eddie Haskell from “Leave It to Beaver.” He’ll never say a bad word about anyone, but anyone who’s ever raced against him will tell you that this kid has talent. Anderson has a bunch of Legends victories to his credit and a big upside, which makes him a raw prospect that will make some waves this season. 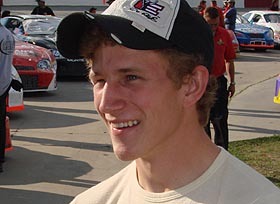 Jeffrey Earnhardt (top) and Chase Austin (bottom) are two of the young up-and-comers in the NASCAR Busch East Series. 24) Brandon McReynolds (Allison Legacy) – TV’s Larry Mac’s kid has built up a fan following in the Allison Legacy Series, but the kid needs to do more than just that if he’s going to become a household name. He’s been running well in the Allison Legacy ranks, but he doesn’t win enough. A couple wins would boost his stock for sure, so would branching out of the Allison Legacy Series. But 15-year-old McReynolds does what he does well, so there’s something to be said about that. 25) Kyle Grissom (UARA, LMSC) – Another second-generation racer, 17-year-old Grissom has been a standout in the Late Model Stock ranks for a few years now. He had a stout year in UARA-Stars last year and it almost culminated in a title. He’s another one with plenty of talent and could go just as far as his dad, if not further. He just needs to break out of his shell a little bit, since he’s fairly quiet. He does his racing with his right foot, which is not a bad problem to have. 23) Alex Haase (West) – A relative newcomer to the scene, 17-year-old Haase has the benefit of having Cup star Kyle Busch’s support as he gets his name out there. Haase has been succeeding in the West Coast Super Late Model ranks and has tried his hand at Southeastern SLM racing late last year. He was a finalist for the now-defunct WalTom Racing ASALM ride last year, but was deemed too “green” for a high-profile ride like that. He needs more laps and to make a name for himself, not just known as “Kyle Busch’s protégé.” Winning will certainly go a long way towards that.